Forest Minister Govind Singh Thakur here today informed that monkeys has been declared as a Vermin species for next one year for eleven districts and 91 tehsils and sub-tehsils in Himachal Pradesh. He said that Chief Minister Jai Ram Thakur has raised this matter time and again with Centre Government and urged that due to monkeys menace in Himachal Pradesh crops and humans are getting affected and to resolve this problem it is necessary to declare monkeys as a vermin species. The Minister said that in this context the Centre Government has issued a notification on 14th February, 2019 and declared the monkeys as a vermin specie in 91 tehsils and sub-tehsils, which was published in Gazette of India on 21st February, 2019. This notification will be applicable for a period of one year. It is notable that on 24th April, 2016 monkeys were declared as vermin in 38 tehsils and sub-tehsils of 10 districts in Himachal Pradesh, whose period was extended for one year on 20th December, 2017. However, the forest department had done nothing to check the monkey menace. Govind Singh Thakur said that the state has reported damage to life and property including large scale destruction of agriculture by this species in areas outside forest. 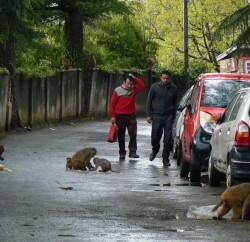 Responding to the plight of locals and farmers, the Environment Ministry has declared the monkey “vermin” in Himachal Pradesh for a period of one year. He said that this decision is going to benefit farmers and horticulturists of state at large.